Centurion Pro Original Baldor Motor - ON SALE! - FREE Shipping! Centurion Pro Original Baldor Motor lives up to its name. It utilizes cutting-edge technology, making it an authentic industrial product. Designed by Baldor, this made in America motor is custom designed to accommodate CenturionPro’s high standard of commercial bud trimmers. The CenturionPro's Baldor Motor is compact and durable, consistently providing maximum torque to rotate your tumbler and cutting reel blades at the precise speed. This motor powers your machine to work quickly, consistently cutting your marijuana buds with precision. This motor aligns with the mechanisms of the CenturionPro Original, Centurion Silver Bullet and the Gladiator to power the best bud trimmers on the market. 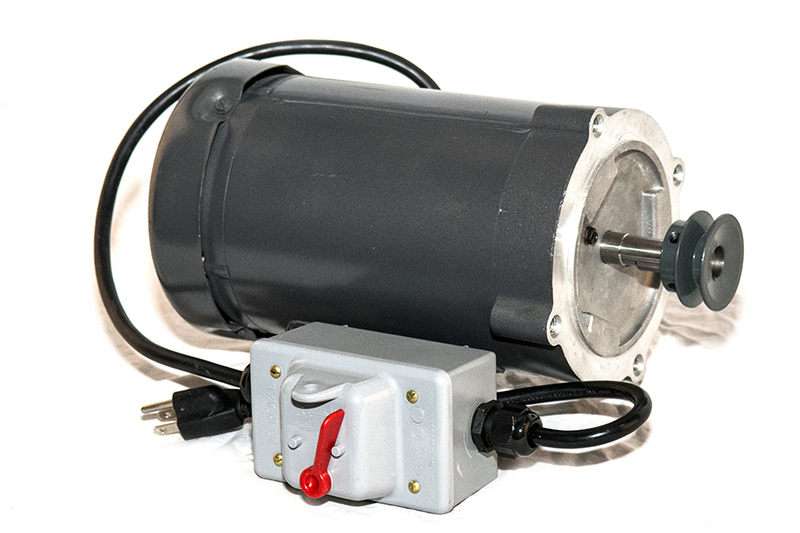 The CenturionPro Baldor Motor boasts ½ horsepower at 1500 volts with1725 rpm. It also comes with a water proof power box. This product requires minimal cleaning and maintenance so you can focus on what matters and rest at ease. When pressure washing, simply avoid the motor as best as possible as over spray will not hurt it. This motor powers the Centurion brand trimming marijuana buds quickly while maximizing efficiency.